The Transportation System of Alabama is a liaison of multiple networks of roadways, airways, railways and waterways. These are the lifelines for extensive passenger travel and cargo/freight transportation and provide vast intercity and interstate connectivity. The majority of the roads, rail systems and water ways are owned and maintained by the state government but some are private or federal entity. The Alabama department of transportation is actively working to uplift the transportation system and ease the traffic and congestion in the state. It maintains and manages all numbered highways. The roads form the main framework of the transportation system of Alabama. There are five major interstate roads and multiple U.S highways that interlinked the cities and states. The primary interstate highways are I-10, I-20, I-22, I-59, I-65, I-85 and the auxiliary interstate highways are I-165, I-222, I-359, I-422, I-459, I-565, I-685, I-759. Interstate 10 (I-10) expands from the Pacific Coast highway to Interstate 95 in Jacksonville, Florida. It is the Southernmost and the fourth longest interstate highway in the United States. Interstate 65 (I-65) is a key highway that stretches from the Mobile to the South interlinking six major cities. Interstate 85 (I-85) connects mostly northeast-southwest. It originates in Montgomery connecting Alabama with Atlanta. Interstate 20 (I-20) runs along with I-59 from Mississippi into Birmingham and near the Birmingham airport it splits and heads northeast on its way to Atlanta. Interstate 22 (I-22) is still under construction which enters the state from Mississippi. Interstate 59 (I-59) runs along with I-20 from Mississippi into Birmingham and near the Birmingham airport it splits and heads northeast on its way to Chattanooga. Customer care: 214-849-8966, 7:00 a.m. – 7:00 p.m., Monday-Friday. For more information on Greyhound Bus Fare, schedule and other general information Click here. The civil aviation sector of Alabama has contributed much to the passenger and cargo transportation of the state. Majority of the airports are owned by the government but there are also few private airports. The Federal Aviation Administration authorizes and oversees all flight operations in Alabama. Some major airports which serve an integral part of the commercial operations include Birmingham-Shuttles worth International Airport, Huntsville International Airport, Dothan Regional Airport, Montgomery Regional Airport, Mobile Regional Airport, and Muscle Shoals-Northwest Alabama Regional Airport. The significant government and military airports include Maxwell Air Force Base, The Redstone Arsenal, The Marshal Flight Centre, U.S Army Air Corps’ Tuskegee Airmen and The Alabama State Trooper Aviation Unit. Birmingham-Shuttlesworth International Airport (BHM) formerly known as Birmingham Municipal Airport is the key and the largest airport in Alabama. It operates over 100 daily flights to 43 1 airports in 40 cities throughout the United States and also connects the Greater Birmingham area with the surrounding Central Alabama cities. The main destinations it connects include Las Vegas, Baltimore, New York and Orlando. According to 2013 estimation, BHM serves over 2.6 million 1 passengers. It serves Birmingham, Alabama and areas including Tuscaloosa. The Huntsville International Airport is a public airport which operates as a part of the Port-of-Huntsville. It serves nine destinations,including Atlanta, Charlotte, Chicago, Dallas, Denver, Detroit, Houston, and two airports in Washington D.C. – Dulles and National. The Montgomery Regional Airport is a public and military airport which is located in the capital city of Alabama. The rail transportation is one of the dominant means of transport for both passenger and cargo. The railroads in Alabama is categorized into Class 1 railroads, Class 2 railroads, Class 3 railroads, Terminal railroads, Industrial railroads, Museum Railroads and Passenger railroads. Amtrak is a government railroad service system in the United States. Amtrak manages and operates several trains daily and provide intercity and interstate connectivity. The Crescent is the main passenger train which is managed and operated by Amtrak (The National Railroad Passenger Corporation). The Crescent connects the major cities between Pennsylvania station in New York to New Orleans via New Jersey, Delaware, Maryland, District of Colombia, Virginia, North and South Carolina, Georgia, Louisiana, Mississippi and Alabama. Water transportation is the common mode of transfer used for recreational tour or sightseeing, cargo, fishing and passenger travel. Several ports connect with many islands, coastal areas and harbours. The waterways of Alabama are Port of Mobile, Port of Montgomery, Port of Florence, Port of Birmingham, Port of Decatur, Port of Guntersville, and Port of Tuscaloosa. The Port of Mobile is connected to the Gulf of Mexico and is the only saltwater port of Alabama. The Port of Montgomery is connected to the Alabama River, the Port of Tuscaloosa and the Port of Birmingham is connected to Tenn-Tom waterway and the Port of Decatur, the Port of Guntersville, and the Port of Florence are connected to Tennessee River. For more information on Alabama State Ports Click here. 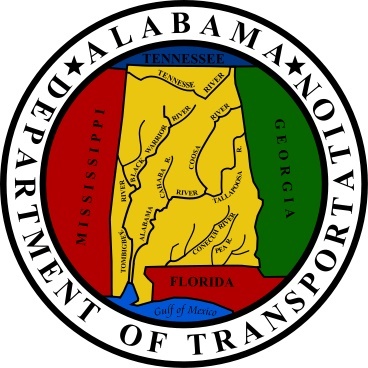 The Alabama Department of Transportation oversees all the transportation networks of Alabama, including-roadways, railways, airways and waterways. The department works diligently to ensure efficient, safe and convenient transportation system and to provide easy accessibility for the people.